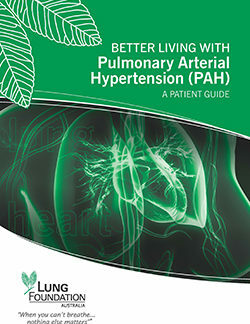 Pulmonary Arterial Hypertension (PAH) is a progressive disease caused by narrowing or tightening (constriction) of the pulmonary arteries that connect the right side of the heart to the lungs. 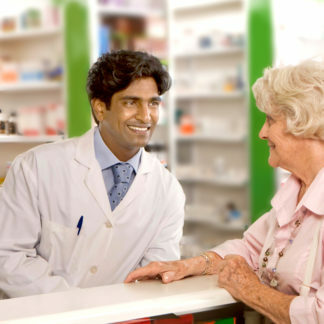 The disease is uncommon and its treatment is complex. 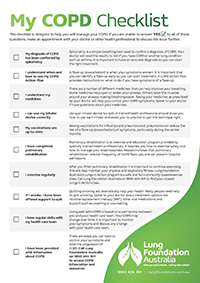 When faced with this diagnosis, there are many decisions to be made. 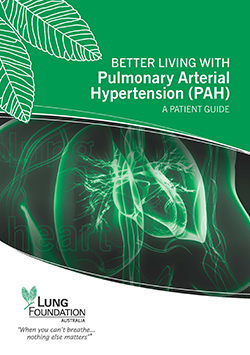 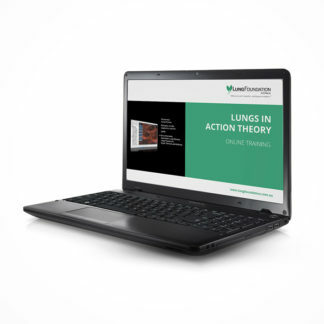 Lung Foundation Australia developed the Better Living with Pulmonary Arterial Hypertension (PAH) A Patient Guide to help people understand more about this disease, the symptoms, treatment options and practical steps that can be taken to live better with the condition.